When the competition heats up, don't let your engine do the same. Stay cool under pressure with the high performance triple-pass radiator from CSF. Reliable and simple to install, your engine will thank you for taking care of it. Stay cool under pressure. 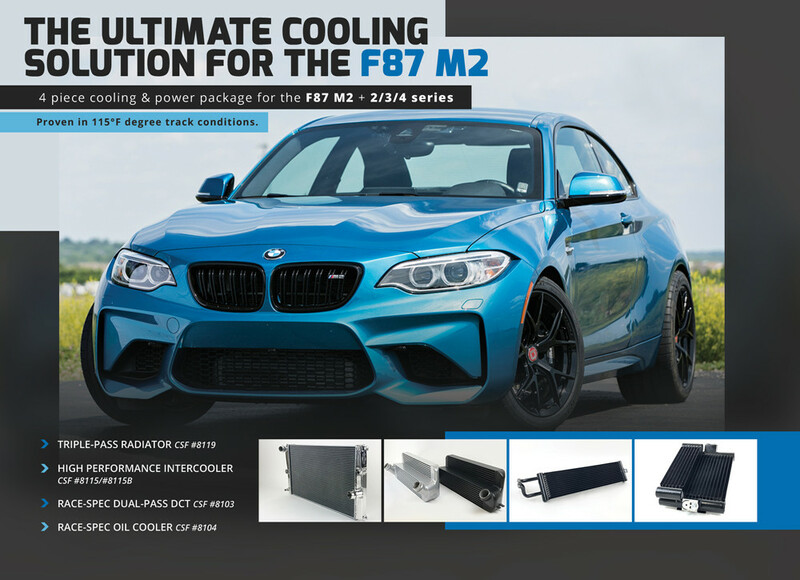 This high performance radiator from CSF is the answer to your engine cooling needs. You have enough to worry about on the track so why add overheating to that list? 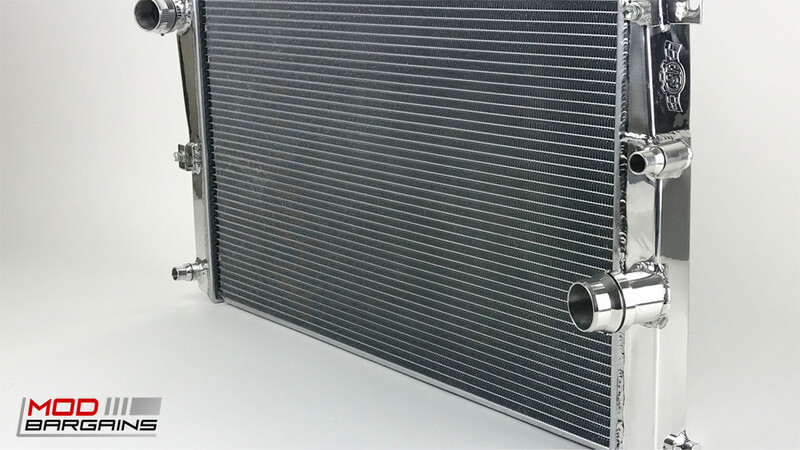 This radiator is built with the racetrack in mind so you get a large all-aluminum two row core which utilizes a triple-pass configuration. Two rows of CSF's B-tubes mean you get more surface area contacting the fins and thus more heat is removed. Triple-pass means all the coolant runs through the radiator three times before returning to the motor, giving the same volume of fluid more exposure to the radiating surface and removing more heat. With CSF you get full track ready performance without the usual hassle of installing high performance parts. CSF has built this radiator with all CNC machined oem style fittings and brackets so it is as simple to install as an OEM radiator would be. Why buy another plastic end-tank OEM radiator? With CSF you get peace of mind along with extreme performance.